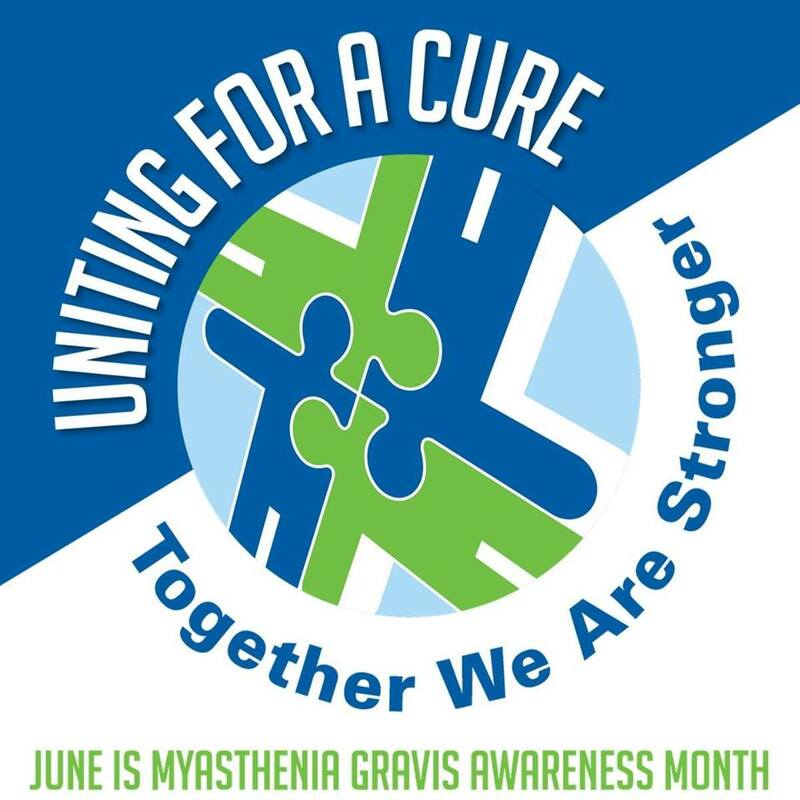 June is MG Awareness Month, a month dedicated to raising awareness about the autoimmune neuromuscular disease called Myasthenia Gravis. Throughout this month we will be sharing various personal stories, written by those impacted by MG.
For many of us with MG, “awareness” isn’t just a word. If we are in a situation where we need someone (maybe even a stranger) to recognize that we are in crisis, it can literally mean the difference between life and death. Knowing even a little about MG, could potentially help someone who has collapsed in a public place and is struggling or unable to speak, to be assisted, instead of being assumed to be intoxicated. That is just one small example of why we need increased awareness, there are many more reasons. We look forward to sharing those, and much more with you throughout the month of June. It is our hope that you will read these posts and share them, to help spread awareness within your own circle of friends, family, etc. Next → Next post: Why Do We Need Awareness? Pingback: Why Do We Need Awareness?